Set in an exclusive location away from the hustle and bustle of Cancun’s hotel zone, just 35 minutes from an International airport, this luxury resort takes vacation ownership to a whole new dimension. Enjoying the calming hues of the Caribbean sea and white sandy beaches at every turn, Villa del Palmar Cancun’s palm-studded resort landscape is like a Mexican oasis, ready to pamper and delight guests of all ages. 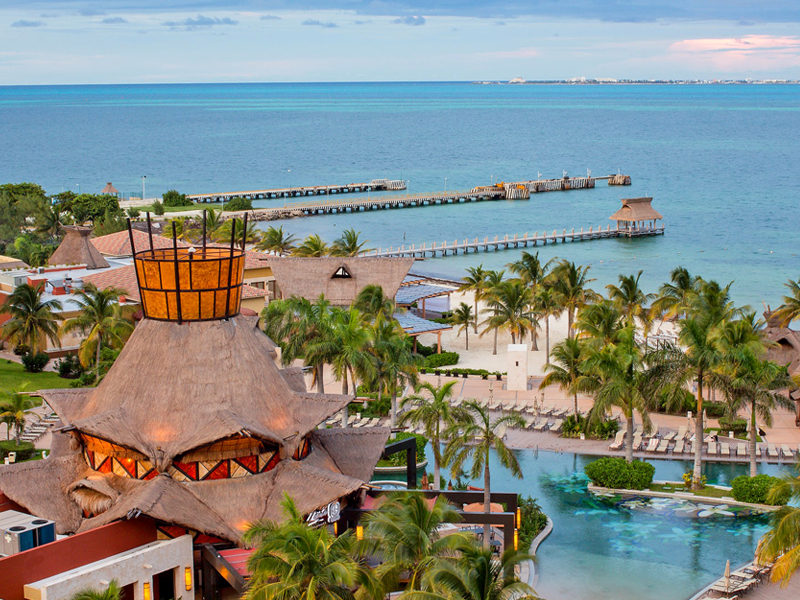 First class gourmet dining in four distinct restaurants, a world class spa offering Mayan ritual treatments in addition to traditional services, a state of the art fitness center and 5 pools, including a children’s splash pool, all contribute to a five star experience. Accommodations in Villa del Palmar Cancun are elegantly decorated and very spacious, big enough to live in with large balconies and terraces. The resort also boasts a range of exclusive limited edition Specialty Residences that offer unique penthouses on two floors and master residences with huge wrap around terraces and outdoor Jacuzzis. Why not enjoy a personal butler service or private chef to make your stay a VIP experience. I’m interested in getting more information on your time shares. Some friends of ours visited and recommend it. Thank you for reading our blog and submitting your inquiry. Please let us know which destination you are interested in and we will send you more information.